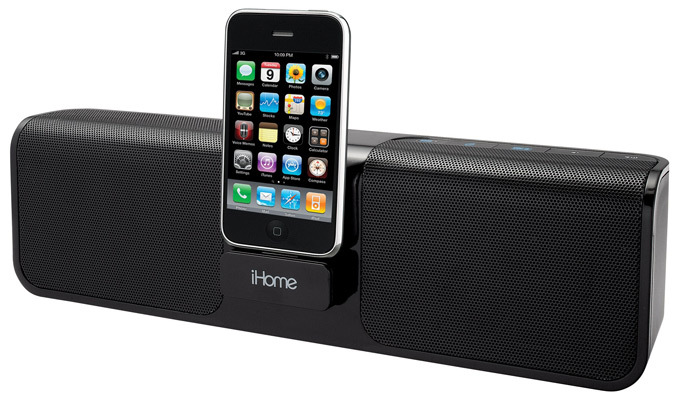 iHome released its portable rechargeable Stereo Speaker System iP46. The dock system has four speakers in “Reson8 speaker chambers” as they said, SRS WOW sound enhancement and a rechargeable lithium ion battery, which delivers 10 hours playback. The iP46 system is equipped with a pivoting retractable dock, which can charges and plays iPhone or iPod while docked, a line-in 3.5mm jack to connect MP3 or CD player or any other devices and is now available for $99.